Sometimes, all we need is a good laugh. Gifts to our partners must evolve! 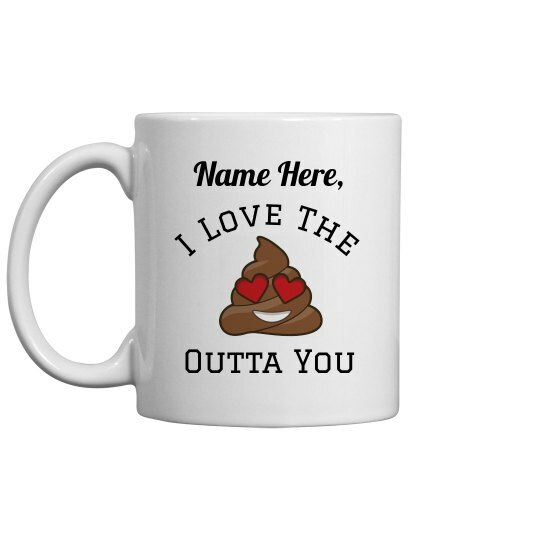 So, this funny I Love the crap Outta You mug is just perfect to make him laugh out loud especially if you customize it with his name. Surely, both of you will celebrate a good coffee time together happily!